The main feature of this month’s edition of Home On The Course, our free monthly newsletter, identifies three golf communities currently listed for sale. Chances are that most of our readers don’t have access to the seven or eight figures it would take to scarf up one of these high-quality communities, but the point for those seeking a vacation or permanent home attached to great golf is that real estate in communities listed for sale tend to be a bargain. The three we highlight have something for everyone, including one on the coast, one in the mountains, and one near a medium-sized city with a major university. The June edition of Home On The Course also features a rundown on the best golf community courses in North Carolina, courtesy of this year’s rankings by the state’s golf panel, a group of regular Joes who love golf and “subject” themselves to the rigors of taking mental notes as they play some of the finest layouts in the state. The top course is Pinehurst #2, the Coore/Crenshaw redo of the Donald Ross classic, but there are many other worthy golf community courses on the list. 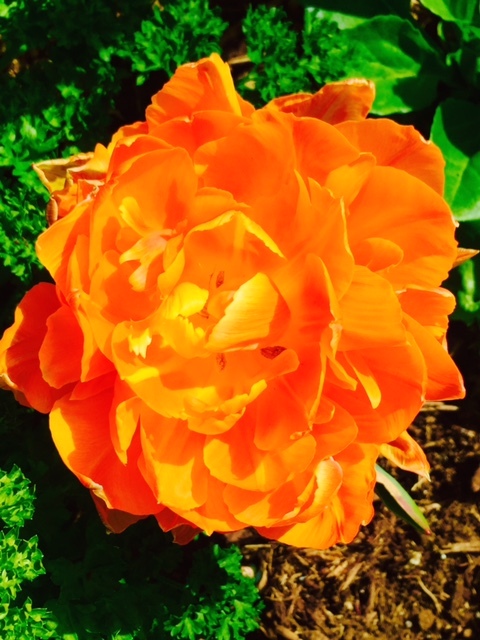 The newsletter will email to subscribers in the next day or two, so please don’t miss out. Click here to sign up today. 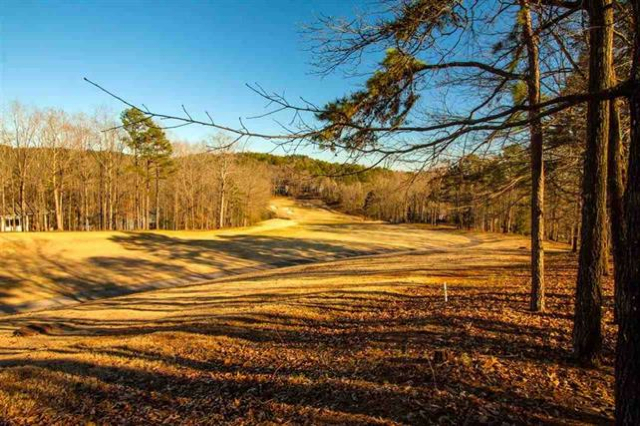 Tom Fazio's layout for Bright's Creek is one of North Carolina's best, but it, and the community surrounding it, are up for sale. ​A round of golf, especially if well played, can be an uplifting experience, and many of us consider a nicely laid out and manicured golf course a work of art. But if you are a golfer and a lover of fine art, there may be no better place to be uplifted than just off the 15-mile stretch of U.S. Highway 17 from Murrells Inlet to Georgetown, SC. 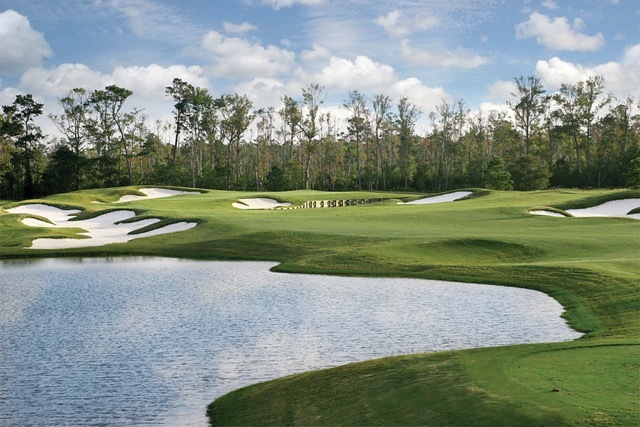 ​The area that comprises Murrells Inlet, Litchfield and Pawleys Island is one of the most densely populated with excellent golf courses of any similarly sized area in the nation, with 16 public courses and three private clubs (DeBordieu, The Reserve at Litchfield and Wachesaw Plantation) of Myrtle Beach’s 100-plus layouts. Because of the competition, deals abound, especially for those who live year round in the area. For example, an annual membership to Caledonia Golf & Fish Club, arguably the best of all 100 courses in Myrtle Beach, and True Blue Golf Club, a visually arresting and playable track (wide fairways and enormous waste bunkers, many of which double as cart paths), costs less than $2,000. At an average rack rate green fee rate of around $125, the break-even point for a member is around 20 rounds (plus the mandatory cart free of $25 each time you play, but you will pay that at any club). Other annual plans include the Prime Times Signature Card, which provides discounted green fees (and free rounds) at a group of 22 of the finest layouts in the area, including Pawleys Plantation, TPC Myrtle Beach and The Founders Club. 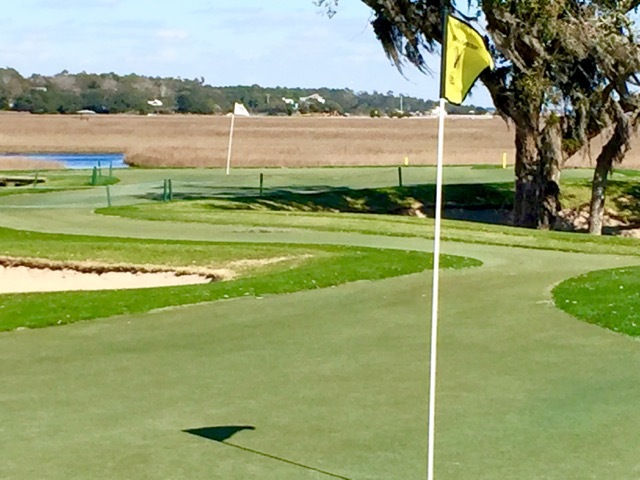 Membership in the Legends Group includes the underrated Heritage Club in Pawleys Island and adds a free breakfast, lunch and beer whenever you play. ​Vacationers to the area south of Myrtle Beach understand the amount of golf available, but what they might miss are the cultural blandishments, principal among them Brookgreen Gardens, an astonishing piece of property festooned with beautiful flora and fauna (there’s a zoo), garden sculptures large and small that seem created for the spaces they occupy in the fountains and bushes and beside the sprawling live oak trees that populate Brookgreen. The indoor museum buildings are great places to cool off and check out a continuing rotation of locally produced art, many pieces depicting marsh country animals in their habitat. My wife and I attended an art show there this past weekend and were impressed with the range of works offered by artists from up and down the east coast. (We purchased an abstract rendering of the Blue Ridge Mountains that, given its dominant green and blue hues, could just as well have been an ocean scene.) The shops along Front Street in the historic Georgetown feature many paintings and other works of art by local artists; some of them are extreme bargains given the quality of the efforts. Homes inside the gated, private Wachesaw Plantation are among the most reasonably priced, on a per square footage basis, in the Murrells Inlet/Pawleys Island area. ​At $100 annually for a “household,” a Brookgreen Gardens membership is ridiculously inexpensive for what it offers, which is not only a sculpture fan’s dream but a great contemplative counterpoint to a competitive round of golf. 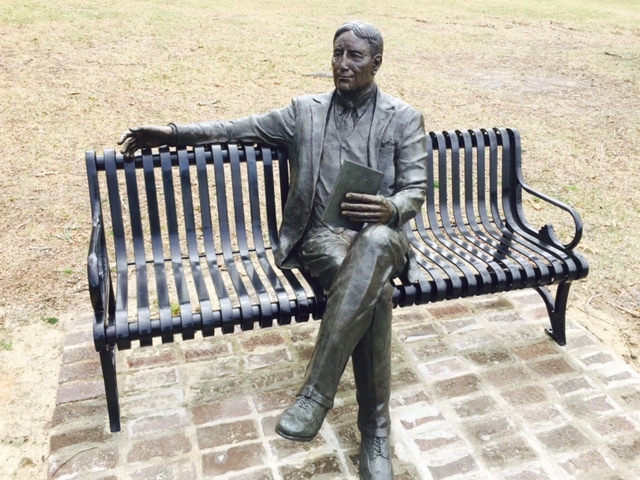 As my wife and I strolled past a fountain with a large sculpture of the Goddess Athena at its center on Sunday, we noticed a woman sitting in the shade on one of Brookgreen’s hundreds of benches, reading a book. My wife expressed what I was thinking: “I’ve always wanted to do that here,” she said. A perfect day for a couple living in the Pawleys Island area, or for a vacationing couple, could very well be a round of golf in the morning at one of the aforementioned clubs, a contemplative stroll through Brookgreen Gardens in the afternoon, and dinner in a converted brick-lined alleyway at Al Fresco’s in Georgetown or outside under a tent or inside in full view of the kitchen at Frank’s, justifiably the single most popular eatery in the entire Myrtle Beach area. Since any frequent visitor to this site has seen plenty of photos of golf courses, and since we all know what a plate of good food looks like, I include below some shots taken at Brookgreen Gardens. If you would like to know more about life in the area south of Myrtle Beach –- my wife and I have visited for at least a couple of months every year since 2000 –- please do not hesitate to contact me. Twice this past Memorial Weekend I played in golf events for which the format was a “Scramble,” or “Captain’s Choice” if you prefer. Simply put, a four-player team selects each of the best shots during a hole and every member of the team plays from that spot. The “Captain” in Captain’s Choice makes the call on where the shot should be played but, in reality, it is almost always a team decision. The idea of a scramble is to build camaraderie amongst the team members. In our first scramble of the weekend, on Saturday, I and two neighbors plus my son visiting from Florida comprised the team at the Mike Strantz Memorial outing at Caledonia Golf & Fish Club in Pawleys Island, SC. (See immediately prior posting here.) Since we were all low double-digit handicaps and below -- my son Tim played college golf and sports a scratch handicap – we took the event seriously. No team was assigned a handicap but we knew there were some excellent players involved. We figured a score in the low 50s would probably win the day; as it turned out, our 60 was eight shots off the pace. But we had a lot of fun as well as a few highlight shots for all of us. The par 3 13th at Pawleys Plantation, where our group posted our only bogey. I know that some good golfers complain about scrambles, that it denies them the opportunity to play their own ball and challenge the golf course without the burden of having to play from where someone else’s ball came to rest. In our competition, each member of the foursome had to contribute at least one drive per nine holes, and it added an element of strategy and drama to the round. (One of our teammates was not very long off the tee, and as we came toward the end of the front nine, we suggested he play short and to the left side of a par 3; he executed it perfectly and we got up and down for an easy par.) Anyone who takes golf so seriously that they can’t occasionally play the game purely for fun should avoid scramble events. The real scramble on Monday was in the totally mixed-up, random composition of the teams, and I made three new friends over the course of four hours and at the dinner afterward. The $25 in pro shop credit we each earned was a nice little bonus. Caledonia Golf & Fish Club is arguably the best golf course of the 100+ that line the Grand Strand of Myrtle Beach, which stretches from Brunswick County in North Carolina and its northernmost point in Wilmington, to Georgetown, SC, more than 90 miles to the south. With virtually flawless conditions on Saturday, including greens that were smooth and fast and a warm but rain-free day, Caledonia served as a fitting site for an annual memorial to its designer, Mike Strantz, one of the giants of modern golf architecture. The deck of the clubhouse at Caledonia almost hangs over the 18th green and provides a great spot to watch incoming golfers -- and to shout encouragement or jabs at your friends below, who could have up to a 100 foot putt on the enormous Mike Strantz green.. The event is a scramble format, otherwise known as “Captains Choice” which, for the uninitiated means everyone in the foursome hits a drive, the team chooses the best one and then everyone plays from that point...and so on into the cup. The winning team this year, on a match of scorecards, shot a 52. Our team, composed of a couple of my neighbors in Pawleys Plantation and my son, who drove up from Vero Beach, FL, posted a 60. Handicaps were not taken into account but no one seemed to mind that this was competition lite. It was all for a good cause and in the name of a terrific architect..
For the last half dozen years or so, Strantz’ widow Heidi and her children have memorialized the designer’s life and work with a Memorial Weekend event at one of his courses. All proceeds benefit the Medical University of South Carolina in Charleston. This year Caledonia was the choice after a successful event last year at Tot Hill Farm in North Carolina. Heidi and her daughters weren’t committing to a choice of venues next year, but given the smooth operation and beautiful conditions at Caledonia, True Blue would not be a bad choice at all. Wherever the event is held, I plan to go out of my way to be there. I am not a fan of magazines and online sites that tout the best states to live. Those best cities to live rankings are only slightly more helpful, especially if the cities are on the small side and comprise only one or two zip codes. Sure, these lists are fun to read, and I have referred to them often here and in our free monthly newsletter, Home On The Course, but if you are considering plunking down a few hundred thousand dollars for a home, more concentrated research is advised. Once such source for that kind of research is USA.com, where you can find all kinds of census-related information down to the zip code level. The data includes average housing costs, population information, including how fast the area is growing, crime statistics, income, school information and the climate, including its effects on heating and air conditioning usage. With a little caution, though, USA.com can offer guidance to those for whom no detail is too unimportant. For cities popular with retirees, such as Naples, FL, the recession of 2008 came for a five-year visit, but a solid recovery may have arrived to stay. Naples prices that were inflated before the crash have now recovered back to their formerly lofty levels. A few other areas popular with retirees have not been so lucky, and they may represent significant buying opportunities for bargain hunters. According to Money magazine’s list of “10 Cities Where the Housing Crash Still Looms Largest,” the vast majority of homes in the Las Vegas, Tucson, Ft. Lauderdale and Daytona Beach metro areas have not reached pre-recession levels. In Las Vegas, for example, peak home values in the mid-2000s soared to over $306,000, but today’s current average home value is below $215,000. These are all warm weather venues, except for a winter month or two in Vegas, featuring plenty of terrific golf communities whose home values are figured into the overall calculations. I did a quick scan of some properties for sale in Las Vegas area golf communities and fit didn't take long to find one nice looking single-family home of 3,134 square feet priced at barely more than $100 per square foot ($329,900 to be exact). Located in the gated community known as San Niccolo, it features 4 bedrooms and 3 baths and is located beside the Southern Highlands Golf Club south of the city and its famed strip. It may be an extreme example of bargains in Las Vegas, but finding other bargains in the area should be less than a roll of the dice. Things are moving fast in the golf communities of the Southeast. Prices are rising in many of them and inventory has dropped as confidence in the economy encourages many working couples to invest in vacation homes. At the same time, the baby boomer bubble continues to reach retirement age and its members are fleeing the cold winters of the north for the more balmy environs of the Carolinas, Georgia and Florida. You Get The Picture: From behind the 17th green at Pawleys Plantation, you take in the tee boxes on the dike, the marsh that separates the community from the beach, and the beach houses beyond that face the Atlantic Ocean. In the coming weeks, I will assess the housing situation in some of the most popular and highest quality golf communities in the region. For more information on any of them, please contact me. We start with Pawleys Plantation, located in America’s first beach resort, Pawleys Island, SC. (In the spirit of full disclosure, I have owned a condo in Pawleys Plantation since 2000 and a lot on the 16th fairway that I purchased just before the 2008 crash; if anyone wants a beautiful home site looking down the fairway and out to the marsh, contact me.) The mid-sized community of about 900 acres, a mix of condos, townhouses and single-family dwellings, looks more harmonious than it sounds given the mature plantings and the draping provided by live oak trees and tall pines. The golf course, by Jack Nicklaus, is two courses in one -– the front nine in more of a parkland setting, with lots of tress lining the fairways and some huge and dangerous Nicklaus bunkers. The back nine explodes onto the marshland that separates the community from the ocean by about ¾ of a mile. A dike that once controlled water into and out of the rice plantation on the site now is home to two tee boxes for the most challenging par 3 holes in all of the Grand Strand of Myrtle Beach. The iconic 13th hole is surrounded by marsh except for a thin strip of grass at 3 o’clock, often well worn because that is where the drop area is located. The green is smaller than the famous Sawgrass 17th green and nearly impossible to hit when the wind is blowing hard. The 17th at Pawleys features marsh only across the entire front of the green, but the green is not deep and out of bounds lurks beyond. When the wind is coming from behind you on the tee, off the ocean, out of bounds is of real concern. Lots range in price from $49,900 (patio lot on cul de sac) to $359,000 for views of Prince Creek and the marsh toward the beach at Pawleys Island. Condo prices start at $119,000 and single-family homes, patio size on roughly a ¼ acre lot, begin at $235,000. The most expensive home in Pawleys Plantation currently for sale is listed at $649,000, with 6 bedrooms and 6 baths (and two half baths). A thin ribbon of tightly mown grass connects the par 4 16th green with the par 3 13th peninsula green at Pawleys Plantation. They may be separated by a three-hour car drive, but golf courses on the ocean and in the Sandhills region (Pinehurst) are closer than you think. That’s because 20 million years ago, during the Miocene Epoch, Pinehurst was actually buffeted by ocean waves; that explains the sandy soil that lies beneath and atop, in the form of bunkering, all the golf courses in the area. 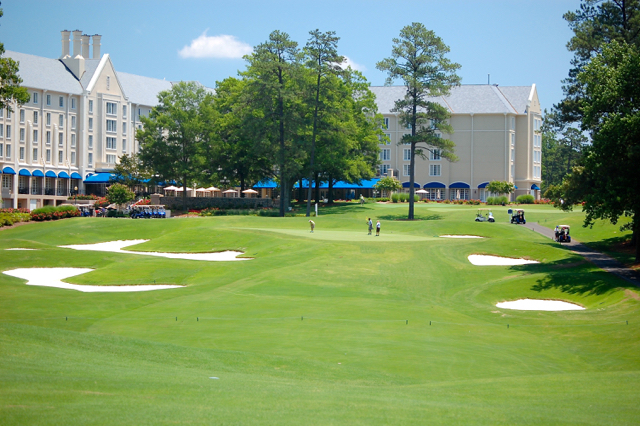 Golf course developers made the most of the terrain, pine forests and soil composition in Pinehurst and Southern Pines, and their efforts have been rewarded with a golf destination among the most popular and highest quality in America. In this year’s “best courses you can play” golf club rankings by the North Carolina Golf Rating Panel, the top five courses in the state are all in Pinehurst and Southern Pines, and the 7th rated club, The National, was acquired by the Pinehurst Resort a few years ago and is now designated as Pinehurst #9. Pinehurst #2 was the top vote getter on the “courses you can play list” and among all courses in the state, public and private. Some holes at Scotch Hall Preserve are brawny in keeping with the Arnold Palmer design shop's style. Unless you are a Pinehurst member, you will need to stay at the resort in order to play the Pinehurst courses, although in some cases, you can call within five days and there might be an opening. (See the end of this article for some notes about membership in all the Pinehurst courses.) The price tag for green fees depends on the course you choose; Pinehurst #2, the famous Donald Ross layout redone by Coore & Crenshaw before the last U.S. Open there, will set you back more than $300, but no serious golfer complains. Pine Needles Lodge & Golf is #2 in the public-access rankings ($125 to $145 green fees in summer) with Pinehurst #8 in the third spot. 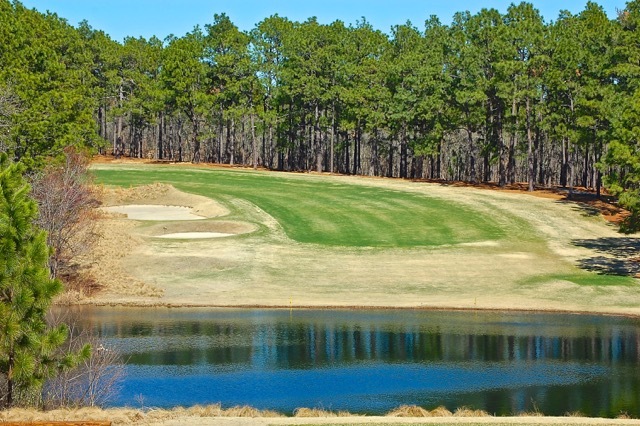 Coincidentally, Pinehurst #4 is #4 in the state rankings with the Mid Pines Inn and Golf Club in Southern Pines ($125 - $145) holding down the fifth spot. Like Pine Needles, Mid Pines was designed by the famous architect Donald Ross. Dormie Club, the Coore & Crenshaw modern classic in West End, NC, is immediately north of the Pinehurst and Southern Pines area and rounds out the top 10. 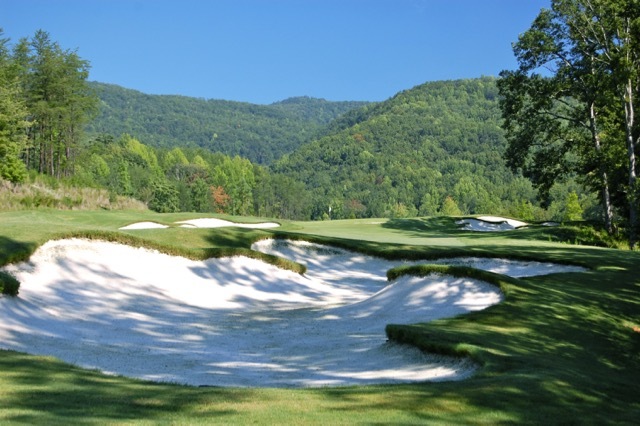 Linville Country Club in Linville is the other top 10 course at #6, the only mountain course to make the top 10 on the best you can play list. The par 5 10th hole at Pine Needles is vintage Donald Ross, with a pick your poison choice of skirting the bunkers on the left off the tee or playing with the pines on the right. A fair number of golf community courses make the public-accessible list, including numbers 11 through 14. At #11 is the Bald Head Island Club, a course reached only by ferry unless you are lucky enough to have access to a helicopter. Surrounded by water, beaches and multi-family beach houses, Bald Head’s layout offers plenty for the eyes to feast on during a pleasant ride on the links-style course. (Green fees $125) Cat scratch fever got to the panel judges as they ranked Leopard’s Chase #12 ($128 peak rate green fee) and Tiger’s Eye #14. ($118 peak rate) All five courses at Ocean Ridge are named for jungle cats. 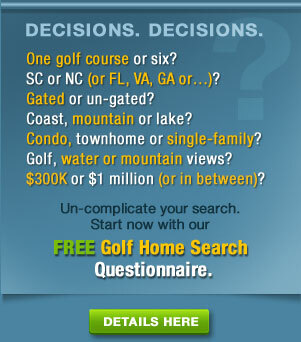 For the full rankings, see the North Carolina Golf Rating Panel web site. Kilmarlic Golf Club, just outside the Outer Banks, made the top 25 in the North Carolina rankings. Photo courtesy Kilmarlic Golf Club. As for membership in all those top rated Pinehurst clubs, a Pinehurst membership is one of the best bargains in golf for the serious golfer not on a strict budget. You can choose from a variety of membership options based on the number of courses you choose to play regularly, but the most elaborate option is what Pinehurst calls No. 7/No. 9 because it includes those golf courses in addition to Numbers 1 through 6 (number 8 is available to members on a seasonal basis). Initiation fee for the big membership is $45,000 with monthly dues of $477 per month, quite reasonable for that number of golf courses. The other golf membership plans start at $25,000, with comparably lower dues. Keep in mind that you will be sharing your golf courses with traveling golfers. But the atmosphere in Pinehurst tends toward quiet sophistication, and the environment is somewhat infectious, meaning you won’t be sharing space with Joe Six Pack. If you would like any additional information on the golf community courses that made the grade on both the South Carolina and North Carolina “best of” lists, please contact me. Since the best golf community courses tend to be private, this year’s South Carolina list of accessible courses features only semi-private courses; these clubs provide memberships but also are open to the public on a daily fee basis. The South Carolina rankings are broken down by region, with one course anointed tops in each region. In the Upstate Region, two college-affiliated courses take top honors, The Furman Golf Club in Greenville, and The Walker Course at Clemson University in the town of the same name. In a way, these golf courses reflect their locations: Furman is more a classic layout near an established, popular and sophisticated city; and The Walker Course is a more modern and youthful design in a smaller town dominated by a big university. 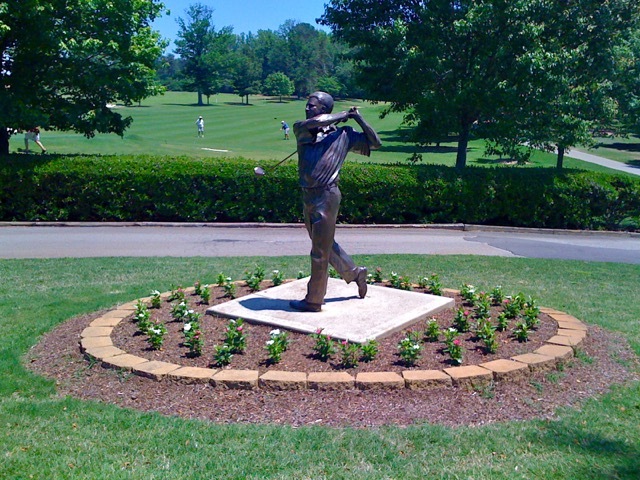 Outside the clubhouse at the Furman University Golf Club. Apparently, there wasn’t much to choose in the Midlands Region given only two clubs made the top 31, and one of them, Mount Vintage Plantation, was in receivership the last two years. (I am reaching out to local contacts to get an update on the community and its golf course.) 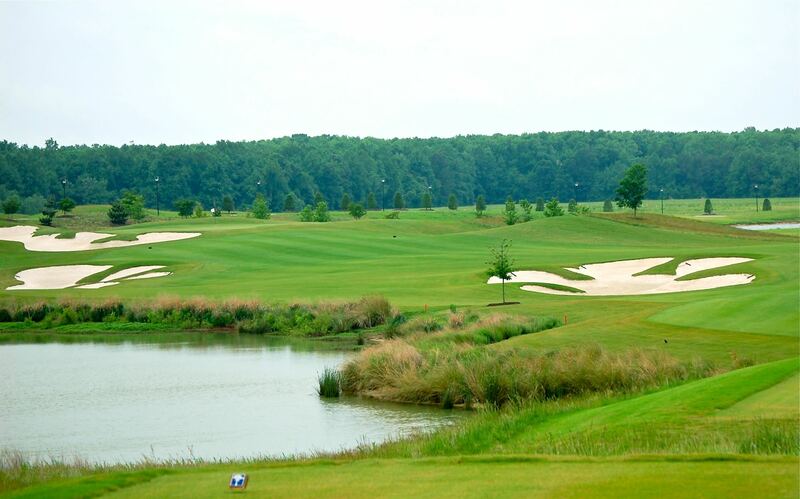 The other, Orangeburg Country Club, is a classic layout with a long and challenging finishing hole, one of the best in the state. Expect a wonderful day on the course if you visit, as well as an enthusiastic, friendly and helpful group of staff members. Kiawah Island, of course, is famous for Pete Dye’s masterpiece, the Ocean Course. It is rated the top layout in the Low Country/Charleston area. 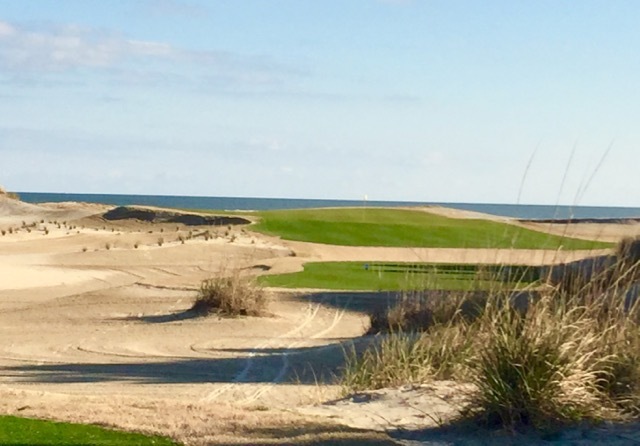 Three other clubs on Kiawah -– Turtle Point, Cougar Point and Osprey Point –- also made the Charleston area list, although you will have to wait until October to play Gary Player’s Cougar Point, which is undergoing renovations. Just south of Kiawah, the Crooked Oaks and Ocean Winds courses at Seabrook Island both made the list, although you must rent a home from a Seabrook member in order to gain access to the private courses. 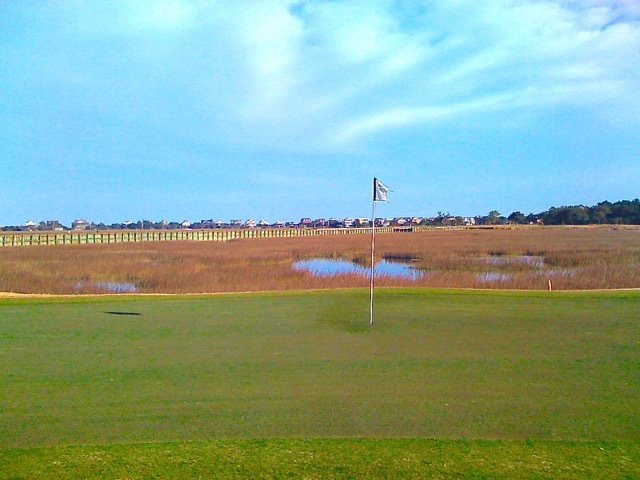 Tom Fazio’s first solo layout, the Links Course at Wild Dunes on the Isle of Palms, was the other course to make the Charleston area list. It is notable for its finishing holes on the Atlantic Ocean. The finishing holes at Wild Dunes on the Isle of Palms provide plenty of great views as well as wind gusts. The Low Country Region designation is also applied to the area near Hilton Head where Harbour Town Links at Sea Pines rules the roost. The Heritage Invitational on the PGA Tour made a stop at the course last weekend and it looked as fine as I remember it a few years ago. The totally redone Sea Pines Heron Point course, a Pete Dye layout, also made the list, as did the three courses at Palmetto Dunes Resort on Hilton Head. Notably, the only off-island course included on the Hilton Head area list was May River Golf Club at Palmetto Bluff in Bluffton, one of Jack Nicklaus’ finest layouts and a top five course in the entire state. It is expensive -- $215 in summer, more in the peak seasons, and caddies or forecaddies with cart are mandatory –- but it is worth saving up for. Not surprisingly, the region with the most entries on the rankings list is the Grand Strand, the area that stretches from Brunswick County in North Carolina 90 miles southward to Georgetown, SC. The late Mike Strantz’ masterpiece, Caledonia Golf & Fish Club, tops the regional list, but the other notables are almost as strong and include Caledonia’s sister course, True Blue, and the other Pawleys Island entries of Heritage Golf Club, Pawleys Plantation and TPC Myrtle Beach, located in Murrells Inlet. Farther north, the Grande Dunes Resort Course beside the Intracoastal Waterway, Prestwick Country Club, Robert Trent Jones’ Dunes Golf and Beach Club and Pine Lakes International, the oldest course in Myrtle Beach (circa 1927), provide loads of options for those staying in the most active part of the Strand. Close to the border with North Carolina, Tidewater Golf Club and Plantation doesn’t have the well-known designer label (Ken Tomlinson) but golf raters and vacationers alike know it to be one of the best of the 100 courses in the area. For the South Carolina Golf Panel rankings, click here. If you are interested in more information on homes beside or nearby any of these top-rated country clubs, pleae contact me. The finishing hole at Duke University golf club, framed by the Washington Duke Inn. Our April edition of Home On The Course, our monthly newsletter, has something for virtually everyone. Whether you are in full search mode for a golf home or simply contemplating a future search, our advice on how to “Make Sure that Golf Home is Right for You” will come in especially handy when you make your visits to golf communities. If you are just planning a golf trip with family or buddies, the latest rankings from the North Carolina and South Carolina Golf Rating Panels will lead you to the best golf courses “you can play” in each of those golf rich states. Finally, we show how a vacation or permanent home in a golf rich area of the South can lead you to free lodging in some of the best golfing areas of the world –- or, if you choose, cities like Paris, London and Athens where you won’t need your clubs to have a great time. Our friends at HomeLink, one of the premier home exchange organizations, are offering a special free trial to subscribers of Home on the Course (which, itself, is free for the asking). There has never been a better time to sign up to receive Home On The Course. It arrives in hundreds of email boxes tomorrow morning; please subscribe today by clicking here. 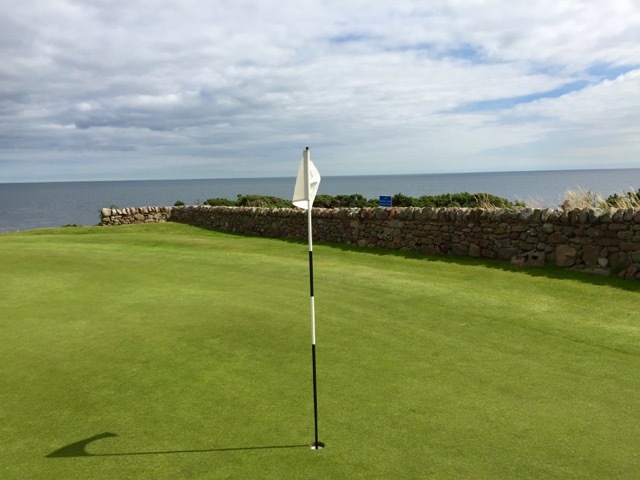 A home exchange via HomeLink led my son and me to a free one-week's stay a mile up the road from the Crail Golfing Society and its 36-holes of splendid links golf beside the North Sea. HomeLink is offering our newsletter subscribers a free three-month trial. Please subscribe today; the newsletter will launch tomorrow morning. Vacation golf homes hot again? Doom or Gloom or Truth about Golf: Which is it, media?